The crew of the International Space Station (once they've fixed their leak) will trade their old Windows XP laptops for Debian-powered systems to use in their Operations Local Area Network (Ops LAN). The six-person ISS has over 140 laptops on board, around 80 of which are working at any one time, along with a variety of internal networks for operations, crew support, and telemetry. These are used to manage on-board systems and handle some of the 50GB of data the ISS puts out and receives every week. United Space Alliance (USA), the Earth-based contractor who maintains Ops LAN, has been using Windows XP laptops for the Ops LAN setup. However, with that operating system going into retirement – and prone to frequent crashes – laptops and network integration team leader Keith Chuvala decided it was time for a change. "We migrated key functions from Windows to Linux because we needed an operating system that was stable and reliable – one that would give us in-house control. So if we needed to patch, adjust or adapt, we could," he said. USA picked Debian 6 as an operating system (Google's not the only one impressed with that OS), and organized a training system with the Linux Foundation to get it into place. Training didn't take more than a single session before the team was ready to set up the system, and Chuvala said the ease of deployment sold him on the scheme. "Things really clicked after we came to understand how Linux views the world, the interconnectedness of how one thing affects another," he said. "You need that worldview. I have quite a bit of Linux experience, but to see others who were really getting it, that was exciting." 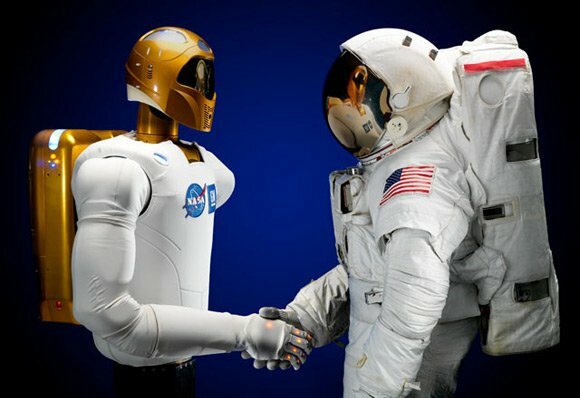 The use of Debian is going to warm the heart of NASA's non-human ISS crewmate, the R2 Robonaut, since it – he? – runs on Linux. The legless robot (not in the Bender sense) has been on the station since 2010 as a testbed for a future space-faring robot who can free astronauts from making lengthy trips outside the station. While software isn't the main cause of failure for the station's laptops (broken screens cause more problems) there are other disadvantages to using Windows. In 2008 the W32.Gammima.AG virus was brought out of the gravity well and infected a series of computers before being eliminated. Tablets are also in used on the ISS, but they are not as useful as here on Earth since, according to NASA, the accelerometers don't work in zero G. In testing on the agency's zero G "Vomit Comet", Apple's iPad failed to deliver, but astronauts still bring them up.